Ian Hutchinson’s Yamaha team boss Shaun Muir confirmed at last night’s TT 2011 party at the Vila Marina, Douglas that the team is going ahead with plans for their rider to make a brief test at Knockhill before making his comeback in British Supersport at Croft, followed by racing at the North West 200 and TT. Hutchinson still has a cage on the leg that was so badly damaged in a crash at Silverstone last year but Hutchy said it’s good to have the added protection on the limb while he continues to train flat out in his bid to be fit for this year’s TT. Nothing is definite though with Hutchy continuing to preface any comments about making his race comeback in late May with the words ‘we’re hopeful’ or ‘I’m hoping’. But the real positive is that MCN was with Hutchy when he took a call just before yesterday’s press conference to hear his surgeon give the rider confidence that he should be fit enough for Croft. 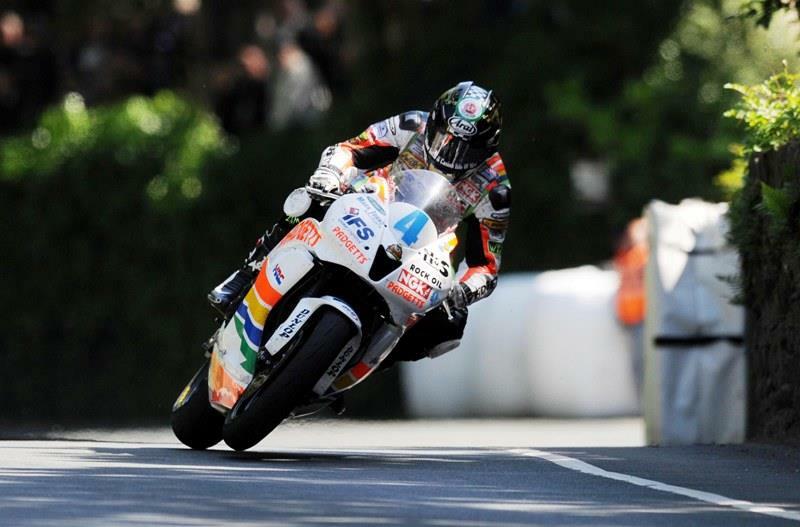 The launch was very much a show of bravery among the warriors who pit themselves against the TT course. Conor Cumins received a huge cheer when he took to the stage to reveal that everything was on course for his comeback from his frightful TT crash last year. He’ll race this weekend at Brands Hatch in the National Superstock opener at Brands Hatch, and said that he’ll be ready to ride the McAdoo Kawasaki at the North West and TT. Fellow Manxman Dan Kneen dragged himself out of hospital to appear on stage in his Kawasaki race shirt. Kneen had crashed at Jurby in testing and damaged vertebrae in his neck. Not only did he look very uncomfortable, his deep breathing indicated just how much pain he was in. He’ll miss the Brands BSB opener this weekend on his Marks Bloom ZX-10R but intends to be fully fit for the roads. John McGuinness paid tribute to Hutchinson, Cummins and Guy Martin (also injured at last year’s TT) and wished them all well for this year’s TT but also said how much he was looking forward to this year’s TT on the rebranded Honda TT Legends bikes. McGuinness teams up with Keith Amor who also rode for the Louth-based Honda team at last year’s TT in the superbike races. But the launch conference underlined just how many line-up changes there are for this year’s TT with Michael Dunlop now on a Kawasaki superbike, brother William joining Cameron Donald on Wilson Craig Hondas, Bruce Anstey at Padgetts. However, Ryan Farquhar and Ian Lougher both continue to run their own teams using Kawasaki equipment. Farquhar got his season off to a fine start at Scarborough last weekend winning all seven of his races.